De Amerikaanse filmster Gwyneth Paltrow is bekend van films al Se7en, The Royal Tenenbaums, The Talented Mr. Ripley, Sliding Doors en Shakespeare in Love (waarvoor ze een Oscar won als beste actrice). Sinds kort heeft ze een eigen site en een wekelijkse mailing waarin ze abonnees op de hoogte houdt van haar favoriete kleding, hotels, artsen (!) en recepten. 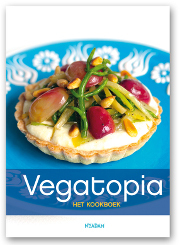 Deze vegan boekweit-banaanpannenkoeken wilden we jullie niet onthouden. I’ve got a thing for pancakes. This combination of nutty buckwheat and sweet, sticky banana is just great. You could sprinkle chopped walnuts on the pancakes as they’re cooking for a full-on pancake-meets-banana bread experience. These happen to be vegan, but don’t taste like it. Buckwheat flour adds a lot of value to the plain white flour – it’s rich in nutrients like calcium, iron, B vitamins and protein, and it's gluten-free. Definitely worth a trip to the health food store. Mix all the wet ingredients together in a small bowl. Mix all the dry ingredients together in a slightly bigger bowl. Add the wet to the dry and stir just enough to combine - be careful not to over-mix (that’s how you get tough pancakes). Heat a large nonstick skillet or griddle over medium-high heat (I love Jamie Oliver’s nonstick cookware - it’s so slippery that I don’t need to use any oil or butter). Ladle as many pancakes as possible onto your griddle. Place a few slices of banana on top of each pancake. Cook for about a minute and a half on the first side or until the surface is covered with small bubbles and the underside is nicely browned. Flip and cook for about a minute on the second side. Repeat the process until you run out of batter. Serve stacked high with plenty of maple syrup.